Give your metro network exactly what it needs with the Nortel OM3500. The Nortel Optical Metro 3500 Multiservice Platform is designed specifically to deliver optical transport solutions for major office parks, remote locations and customers who demand enterprise-class environments. The Nortel OM3500 builds on its SONET portfolio and can help you maximize your bandwidth usage for enhanced speeds and service delivery. Refurbished Nortel OM3500 series units support up to 60 Gbps in a small form factor and operate with the Dense Wavelength Division Multiplexing capabilities of other Nortel equipment. Worldwide Supply provides a complete lineup of new and used Nortel OM3500 series equipment that can assist your expansion of point-to-point network deployments, expansion of your optical networks with usages such as optical Ethernet for multi-customer LAN, OC-192 network nodes and even small optical or digital cross-connects in Tier 3 COs.
Worldwide Supply delivers a significant array of Nortel OM3500 series equipment because they’ve proven reliable across multiple deployment types. We’ve seen them live up to their 99.999% uptime promises, allowing our customers to safely provide mission-critical applications for their largest and smallest customers alike. 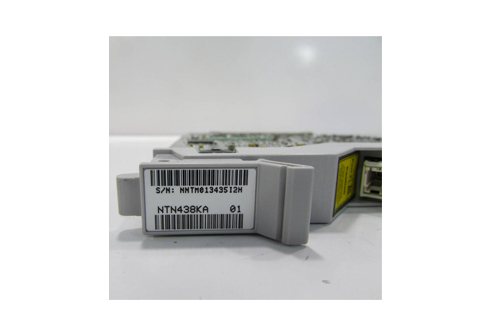 Nortel’s Optical Metro 3500 multiservice platform is designed to bridge and support multiple optical, linear, USPR and bi-directional line switched-ring topologies. You only need one platform to manage all of the deployments your network relies on each day. Choosing a used Nortel OM3500 ensures you get the support you need, thanks to compliant equipment at a rate that’s affordable and secure. Plus, Worldwide Supply will beat any qualified competitor’s price while offering a full warranty that exceeds industry standards.